It has been well said that the most important meal of the day for anyone concerned with adding muscle to their frame is the post workout meal. After an intense workout the muscles are especially primed for growth and understanding how to most effectively feed the muscles for growth and recovery during the hours immediately following an intense round of exercise will pay dividends in terms of your muscle gains over time. In this article I’m going to explain how to structure your post workout nutrition so you can take full advantage of the short window of enhanced anabolic opportunity that occurs after a session of intense training. First, free your wild and let’s take a look at the effect physical activity has on the muscles of the body and how we can use this information to our muscle building advantage. The muscles primarily rely on glucose in the blood for providing the energy required to perform a wide range of everyday activities. However, they also rely on a derivative of glucose, called glycogen, when their demand for energy surpasses that which can be provided by glucose alone. Glycogen is nothing more than a fancy word for sugar that is stored in the muscle cells. Glycogen is also stored in the body’s fat cells or liver cells, but for the purpose of this article we are going to focus solely on the glycogen contained in the muscle cells. When intense exercise is performed, our muscles have a greater immediate energy need than what can be provided by the glucose being transported by the body’s red blood cells. This becomes especially true after 30 minutes or so into an intense workout when the glucose in the blood has been depleted to a high degree. When this happens the muscles can no longer rely on the glucose being transported in the blood to fulfill their immediate energy needs and must start utilizing stored glycogen for fuel. This causes glycogen levels to drop, which as we’ll see in a moment, can actually be used to our muscle building advantage. Because the muscles have an immediate need for glycogen replenishment, blood sugar spikes from consuming carbohydrates during the hours after an intense training session will be used to replenish the muscles’ glycogen levels, and will not be stored on the body in the form of fat (as long as you don’t overdo it, of course). After the muscle fibers have been broken down during training, they will immediately begin the process of recovery. As the red blood cells transfer glucose to be stored in the muscle cells as glycogen, this provides the perfect opportunity to also provide the muscles with the complete proteins they need to begin the growth and recovery process. The two reasons above explain why post workout nutrition is so important – especially to those interested in building lean muscle mass. The “anabolic window” that occurs after training doesn’t last for long and is only at its peak for approximately 1-2 hours after completing a workout. This is why the nutrients you’re feeding your body during that brief period of time following a workout need to be fast-acting in nature. With this in mind, let’s look at how your post workout nutrition should be structured. In case you’re unfamiliar with the glycemic index, it is simply a rating that is given to foods to rate how quickly they will raise the glucose level in the blood. The higher the rating (on a scale of 1-100), the faster the food will be broken down by the body and turned into sugar. Because the anabolic window is so short, you’ll want to include high glycemic carbohydrates with your post workout meal whenever possible. This will ensure that your muscles receive a quick surge of glucose to replenish their depleted supply of glycogen. Eating fast digesting carbohydrates can also serve to provide the muscles with a rush of muscle building proteins as well. The list above is by no means all-inclusive, but will give you a good base of options to choose from for your post workout meals. As a general rule, you should try to stick with carbohydrates having a glycemic index rating of at least 70 for your post workout meal. As with post workout carbohydrates, you’ll want your post workout feedings to include a complete protein that is quick digesting so it will reach your muscles as soon as possible. This is best accomplished by drinking a whey protein shake immediately after training. Even though whey protein does digest more quickly than any other complete protein, it can still take as long as 30 minutes to digest, which is important to keep in mind. 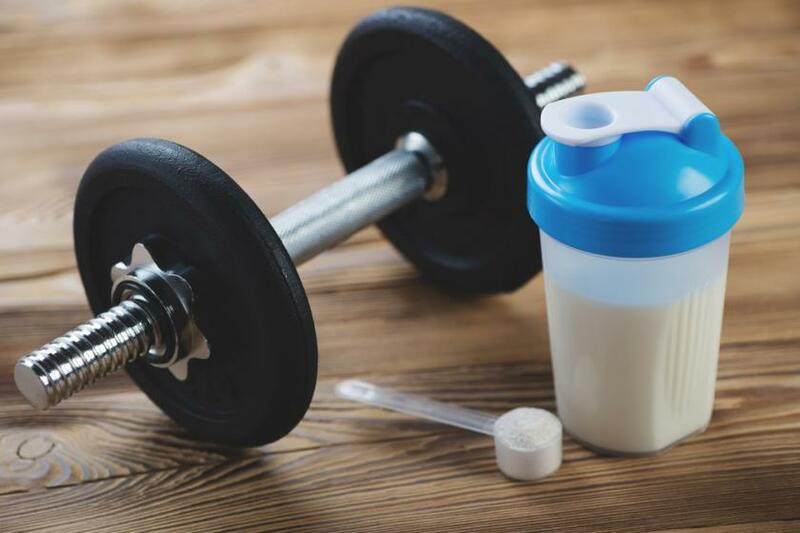 A good rule of thumb for proper post workout nutrition is to drink a whey protein shake (mixed with water) as soon as possible after training, followed by eating a meal consisting of high glycemic carbohydrates and slower digesting proteins (chicken, meat, eggs, milk, etc.) 30-60 minutes later. Intense exercise provides us with a brief, but powerful, opportunity to impact our muscles to a much greater degree than at any other time throughout the day. While exercise alone can be beneficial for muscle growth, the only way to achieve the best results possible for your efforts is through the effective combination of intense training and proper post workout nutrition. Train hard, feed the body for success and results will follow. Designed by WPZOOM Copyright © 2019 — Henry Hneff Blog. All Rights Reserved.